In case you haven’t heard the news yet, golf legend Phil Mickelson and basketball great LeBron James have both adopted the paleo diet! I was watching a golf tournament with my wife, who is an avid golfer, the other day. She had told me that Phil Mickelson had gone on the paleo diet, and sure enough, the announcers of the tournament were talking about it. “It’s a cave man diet!” said the one announcer. “The what? What does that mean?” asked the other. Experts traditionally advise athletes to load up on carbohydrates, while those who want to achieve their weight loss goals are given low-fat diets. But in a nutritional sea change, more diet experts are recommending various types of low-carb diets, from Paleo plans to ketogenic high fat diets such as the Atkins weight loss program. 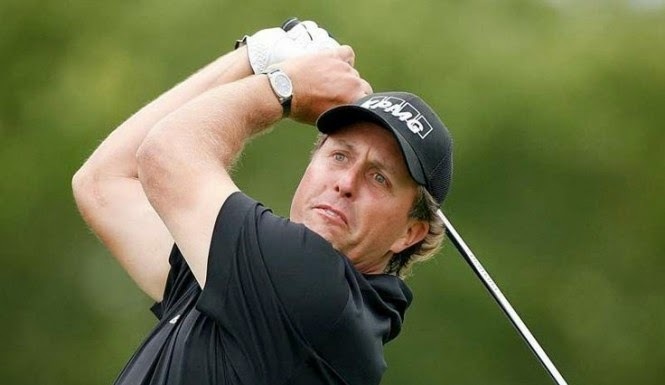 And when 44-year-old golfer Phil Mickelson decided to make his comeback after slipping from fourth to eleventh, he chose a Paleo diet for weight loss success, according to Business Insider. Phil’s trainer, Sean Cochran, was blunt about why his client is working so hard to shed pounds. And to achieve that success, Mickelson has chosen a Paleo diet, said his trainer. The food plan includes protein, vegetables, fruits, and nuts. He avoids dairy, starchy carbohydrates such as grains, and any type of processed food products. That means breakfast can include eggs and mushrooms, but toast is off the table. It’s the same low-carb diet used by LeBron James, who told Sports Illustrated that he followed the Paleo diet guidelines carefully in an effort to improve his game, as shown below. Although James initially planned to follow the diet for a month, he felt so good after 30 days that he kept going. LeBron was so proud of his weight loss that he posted a photo of his newly slim body via Instagram with a philosophical caption. 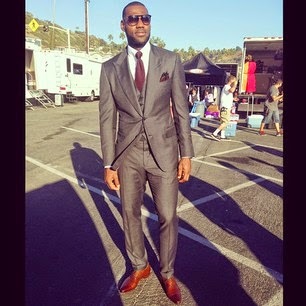 LeBron James flaunts weight loss success on Paleo low-carb diet. James and Mickelson aren’t the only famous folks who have turned to Paleo and low-carb diets for weight loss and health, as the Inquisitr reported. Both Anne Hathaway and former President Bill Clinton followed vegan diets for years. But when Anne was filming Interstellar, she felt constantly fatigued and literally fed up with endless plates of garbanzo beans and tofu. She decided to experiment with a low-carb diet high in animal protein, and felt a surge in energy overnight. Now she’s firmly entrenched in the ex-vegan camp. Clinton’s physician, Mark Hyman, was the one who persuaded him to veto vegan meals and boost the protein in his diet with foods such as grass-fed beef and wild salmon. “It’s hard being a vegan to eat enough good, quality protein and not have too much starch. I know a lot of fat vegans,” said Dr. Hyman. Now, I have to say that this is good news for all of us! Not only will Phil and LeBron enhance their own careers and, more importantly, their health- but they also, as celebrities, will be in a position to influence many, many others into considering changing their own diets to that of the Paleo type, and eliminate the loads of junk that has cluttered up Americans’ diet and health for far too long. We need celebrities to influence the masses. And so, there you go! Don’t go the other, wrong way and wind up a fat, sick vegan- be a lean, healthy paleo person! It’s just the application of the most current science, but even more, the paleo diet is just common sense.